Students survey a local landslide that has formed in fill using a total station. Students enter elevation data from pre-fill (1973) topographic map, post-fill pre-landslide topographic map (1983) into SLOPE/W. 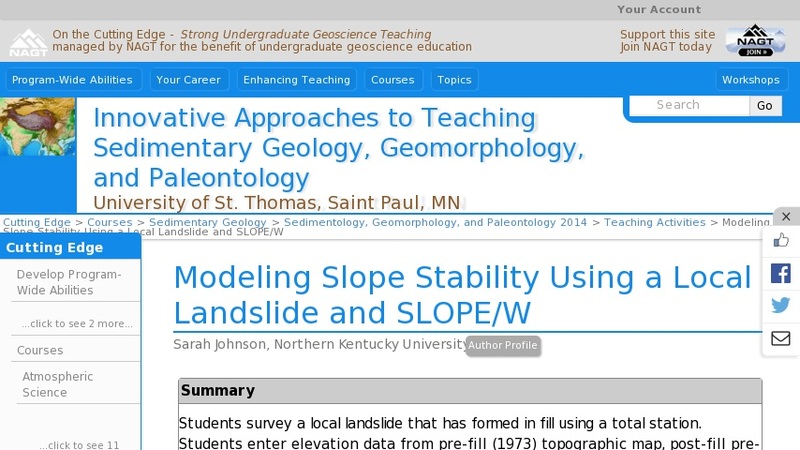 Students model the slope stability and compare the modeled slip surface with their field observations.